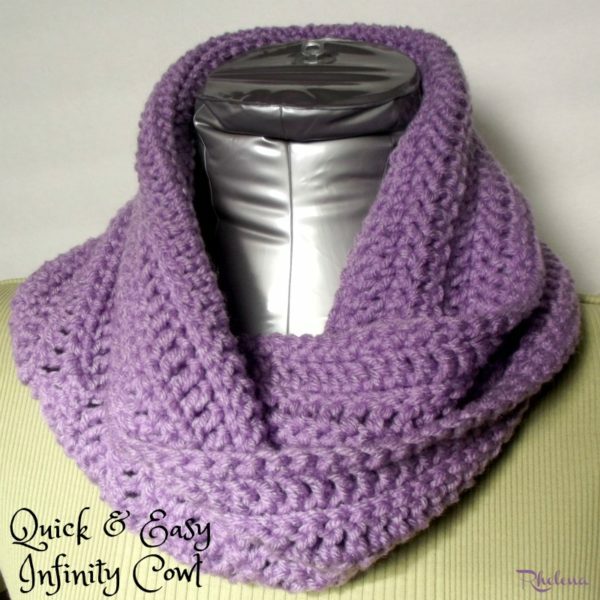 This quick and easy infinity cowl crochet pattern is given in one size, but since there is no stitch pattern, you can basically crochet this to any size that you want. Thus, it’s the perfect pattern for a cozy neck cowl as shown, or crochet a long infinity cowl. The easy crochet cowl is a mindless pattern once you get going on it. 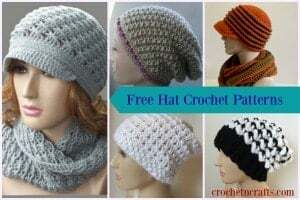 It is worked with the single crochet and double crochets, and turned after each round of double crochets in order to give you a pretty texture. As for materials, I used an economic yarn, but feel free to substitute your favorite or any luxurious yarn for a soft and elegant drape. You might also enjoy this chunky cowl crochet pattern, or this hooded cowl pattern. Gauge: 9 sts = 3″. Finished Size: Measures approximately 12.5 by 8″. This pattern is turned after Rnd 2 and after every even Rnd. 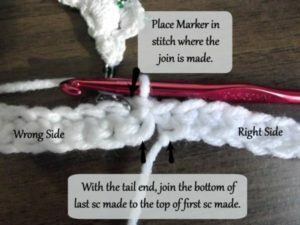 Note for Rnd 2: In Rnd 2 you will crochet around both the top and bottom of the sts made in Rnd 1. Thus, you will double your sts once from 80 to 160. Rnds 4-11: Rep Rnds 2 and 3. Fasten Off at last round. If you enjoyed this, you might also enjoy more free cowl crochet patterns on CPB.